“There really is a Santa Claus"
With winter upon us, I’m reminded of an idea that kept bouncing around in my head back in 1983. 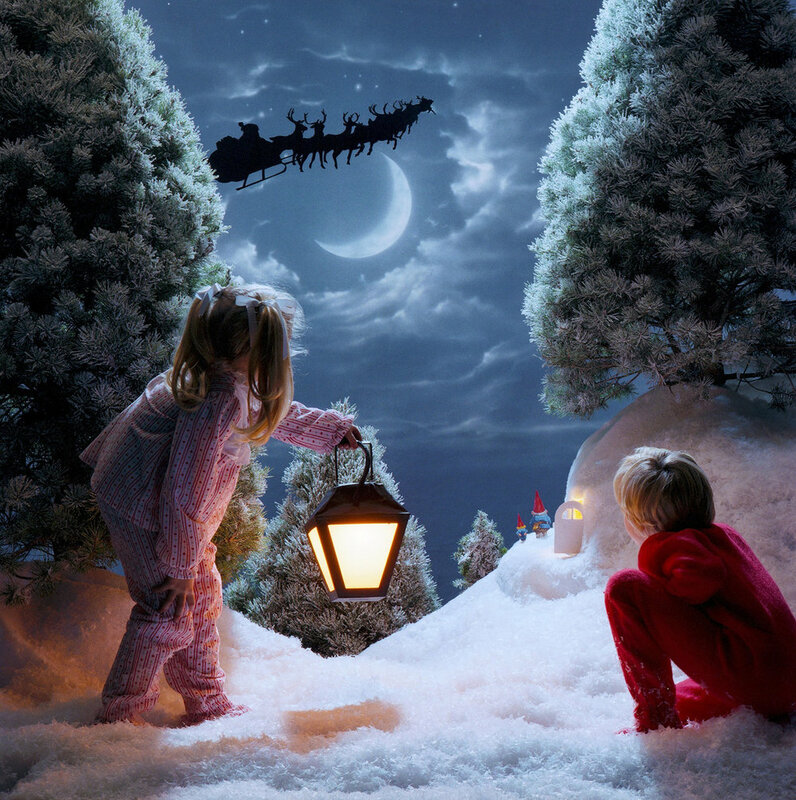 I imagined an image of my kids on a snowy hilltop sneaking a peak at Santa and his reindeer soaring across a moonlit sky. Doug was six and Becca was five…perfect for what I had in mind. I rented a painted backdrop of a glowing moon in a cloud streaked sky, bought three Christmas trees, a roll of chicken wire and some cotton batting. We shaped the chicken wire over a foundation of milk cartons and plywood. The cotton batting went on top of that, and got covered with fake snow. We formed a plateau on top of the hill, and placed two little gnomes outside of a tiny door with warm light glowing inside. Santa and his reindeer were traced from a large coloring book on cardboard and sprayed black. The last thing we did was build a lantern with a flash head inside for Becca to hold. The cable went up her pajama sleeve, down her leg and into the snow. All that was left was to let them have fun and shoot away. The final image became our Christmas card and one of my favorites of all time.